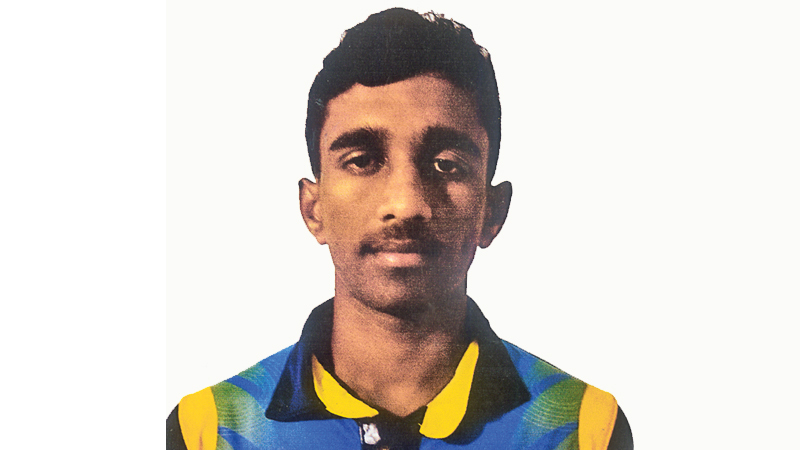 All-rounder Chamila Kithmal Wickramaratne representing the first eleven cricket team of Gamini National School, Bentota excelled with both bat and ball for his Alma-Mater. In the on going cricket season in eight matches he has claimed 54 wickets at an average of 8.4 with his left arm leg spinners with one 10 wicket haul and two five wicket hauls and his best being 10 for 86 against St. Joseph’s College, Bandarawela. He bats right hand and is a safe fielder in any position. In batting too he has collected 352 runs with two fifties and the highest score being 86 runs against Madampagama Central College. He joined his present school last year from Elapatha Maha Vidyalaya, Habaragala. Gamini National School is coached by Mangala Wickramaarachchi. Vs. St. John’s, Nugegoda 4/10 and 5/21, Vs. Vijitha Central 3/10 and 4/17, Vs. Galahitiyawa Central 3/99, vs St. Joseph’s, Bandarawela 5/20 and 5/66, Madampagama Central 3/44 and 4/45, Vs. Sandalankawa Central 3/25 and 1/12, Vs. Ibbagamuwa Central 6/32 and 2/38, Vs. Sri Sumangala, Kandy 4/19 and 2/13.